I soon wearied of talk of the trial, though my household could speak of little else. All wondered when Essex and my Earl would lose their heads. And who would be next? First, Linkin heard that Lady Moll’s husband (we called him Thoms) had turned crow and was seeking pickings. Lady Moll – Mary Arundell, the Earl of Southampton’s sister and Thomas’s wife. Thoms had writ to Sir Rabbit saying how shamed he was by the foulness of my Earl’s fault. He (I mean Thoms) sayt my Earl’s ears were hardened to good counsel. So Thoms had seen my Earl but once these two years past. Now Thoms sayt he was readie to do the Queen service against whatever traitor earl or earls. By which we guessed he meant to give informations that he durst not write in a letter. Linkin sayt that Thoms had writ of a hot-head puritan named Cuff that was with my Earl in Paris. They read a book that did my Earl little good. Arsetottles Politicks. Then Thoms came to his point. If my Earl must die and forfeit all, could he have the small amount of land my Earl was possessed of? For a reasonable rent? That were not much to seek, my Earl having sold the better part of what he had. Next, the master came home with newes that none could believe. We ate of it for supper with our pancakes. Essex had done worse than false Thoms. After seeking mercie for all his followers and servants, and saying he alone was at fault, he’d turned. He’d made a confession. First to the minister that attended him in the Tower, and then to Sir Rabbit and some other councillors. He’d accused many of his friends as his instickaters [instigators]. His sister, the Pretty Penny. His mother’s husband. His secretarie Mr Cuff (the man Thoms named). And more besides. ’Twas sayt he’d writ to my Earl, telling him to admit what danger the Queen had been in, and to confess his sin. 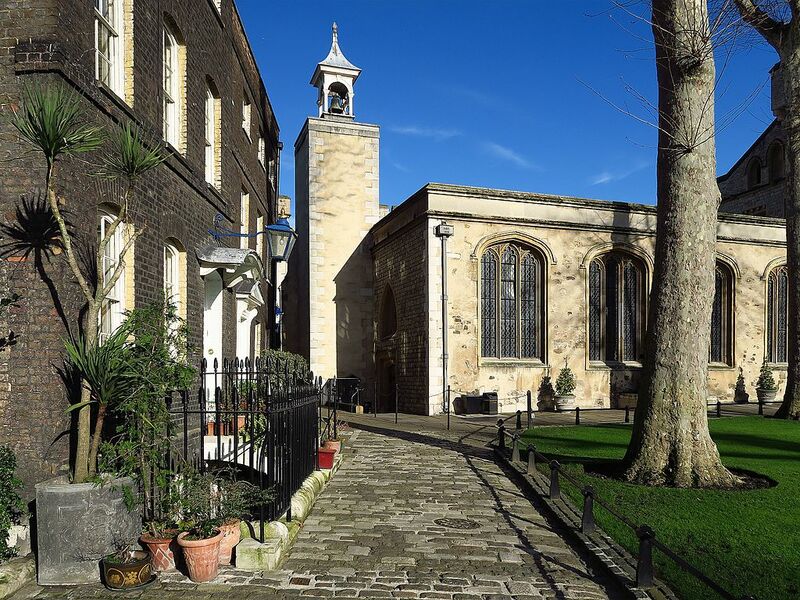 St Peter ad Vincula, Tower of London, where Essex is buried. He was executed nearby. But he’d done all that was desired of him. Next day they cut his head off. Private in the Tower as he’d wished, or so they sayt. He died most repentant. Who could ever know the truth of that? Thomas Arundell’s letter to Sir Robert Cecil is printed in G.P.V. Akrigg’s biography of Southampton. Akrigg rightly calls it treacherous. 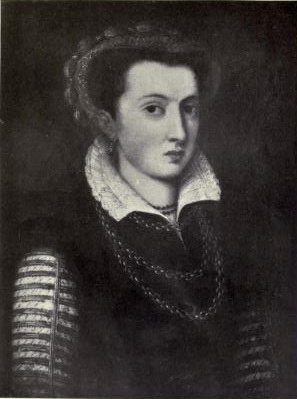 Thomas had married Southampton’s sister Mary in 1585. His attempts to make his way in the world often bordered on the farcical. His overt Catholicism aroused suspicion and at one time he was put in the custody of his father who was hostile to him and Mary. Sir Robert Cecil liked to know everything, and may well have been interested in what more Thomas had to say, but he probably shared Linkin’s opinion of him. The Mr Cuff mentioned is Henry Cuffe (c1563 – 1601), a former Professor of Greek at Oxford University who’d become one of Essex’s secretaries. He spent some time in Paris in 1598, where it sounds as if he and Southampton were reading Aristotle’s Politics. What went wrong with Essex so soon after the trial where he’d impressed everyone with his confident manner? Did he plunge into depression and spiritual crisis? Tricks is sceptical of the story she heard. So were a number of others. Fingers were (and still are) pointed at his chaplain, Abdias Ashton/Assheton, who might have convinced Essex that he needed to purge his soul by confessing his sinful behaviour publicly as well as privately. Exactly what Essex confessed to isn’t known, because his written confession hasn’t survived. Not an attempt at usurpation, anyway. It was more about the original plan to invade Whitehall and the fact that although no harm was intended to the Queen, her safety could have been imperilled. Essex was executed on Ash Wednesday, 25 February, 1601. On Thursday Sir Robert Cecil sent out instructions for the next batch of sermons. By Friday a printed ballad lamenting Essex’s death was being hawked around the city, to the great annoyance of the Bishop of London.